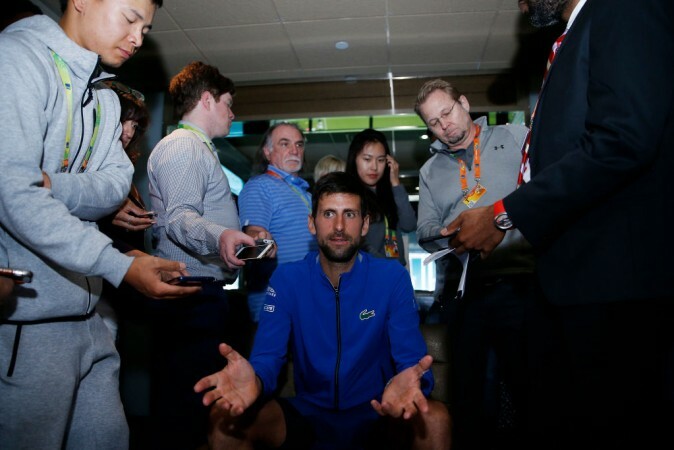 The Miami Open has been having its fair share of controversy and it was world number 1 Novak Djokovic who created the most recent storm by threatening to quit the tournament if the umpire did not listen to his wishes. The incident happened during the Serbian's round of 32 encounter at the Hard Rock Stadium on March 25. Djokovic was playing against Argentine Federico Delbonis and had gone ahead in the third round match with an early break of serve but was pegged back in the ninth game when he lost his cool. After losing serve, Djokovic returned to his court-side seat and lashed out at the umpire in frustration. A heated exchange subsequently followed between the Serb and the umpire as Djokovic threatened to quit the match if the lights of the stadium were not switched on. This is how the heated conversation transpired between the player and the official who was perched on his seat. Umpire: "As soon as you told me I called it." Djokovic: "Why wasn't it switched on before." Umpire: "It wasn't my decision but I called it." Djokovic: "Ok so what is it going to be?" Umpire: "It is just the time now to switch it on." Djokovic: "It is not switching on. I am not going to play in this dark." The umpire immediately instructed the floodlights to be switched on and in about a couple of minutes, the stadium as well as the situation lightened. Djokovic won the first set of the match but lost the second before clinching the deciding set to win the match and progressing to the round of 16. The Serb won the match 7-5, 4-6, 6-1. During the game, match commentator and tennis expert Mark Petchey had sympathy for world No 1 Djokovic and sided with him. "It is too dark down there now," he said on Amazon Prime. "I am not sure it is a solvable problem as this tournament moves forward. From early in the day this court is in shade and it has the feel of an indoor tournament which is unfortunate. I am surprised they didn't have the lights on a bit earlier to be honest. It has not got considerably darker to be fair." This was the second incident of an umpire-player flare in the space of a week at the Miami Open after Nick Kyrgios hurled expletives at the umpire following his round of 32 doubles defeat on March 24. The Australian lost the match 7-6 (4), 6-7 (3), 10-8 along with his partner Taylor Fritz. "What the f**k is wrong with you?" 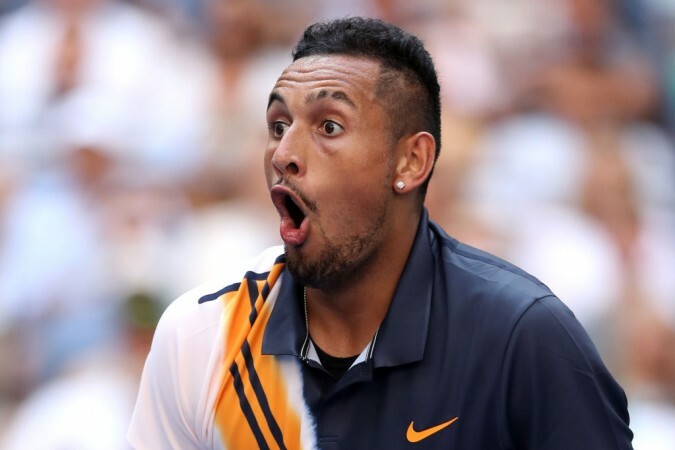 Kyrgios yelled at the umpire after the match. "You're a disgrace. You're a f*****g disgrace." Kyrgios then smashed his racquet on the hard court and damaged it. As one of the ball boys picked up the disfigured racquet, the 23-year-old continued his tirade amid a mixture of cheers and boos from the crowd. "You think that's alright, yes or no? He's a disgrace. Come down here and play 100 per cent when you deal with this," Kyrgios said. "It's rubbish."